Belle Vue Park, originally known as Belle Vue Gardens, was created on a triangular plot of land opposite the Council Offices in Albert Road. This land was purchased in 1913 from the Earl of Plymouth, and Belle Vue Gardens was officially opened on May 22nd 1915. 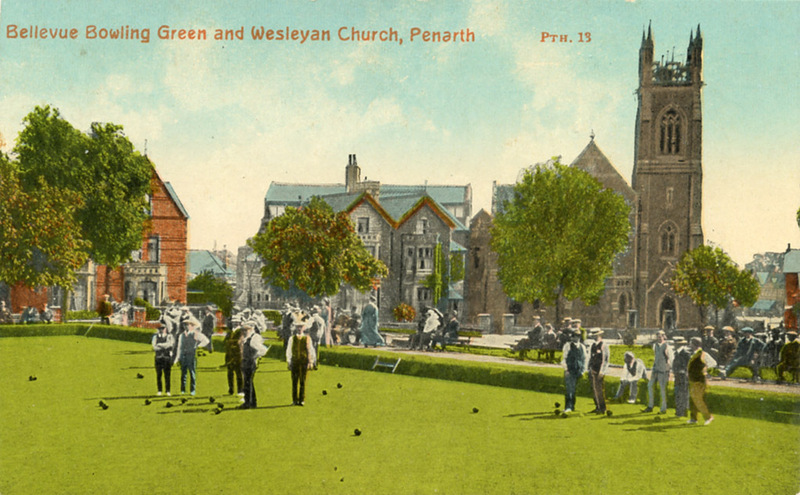 Its main feature was the bowling green shown in the postcard image below. The documented history of Belle Vue Park is explored in a seperate section.